How can I reuse or recycle old glasses/spectacles? | How can I recycle this? How can I reuse or recycle old glasses/spectacles? After some in-depth testing last week (closing one eye then the other, note blurriness, rinse, repeat), I suspect it’s time for me to get some new glasses. I get new glasses every other year or so: partly because with the ones I pick, it’s about the same cost to get completely new glasses as it is to get lenses replaced in my existing frames and partly because after wearing them for at least 12 hours a day, every day, after a couple of years I fancy a change. Anyway, I have a number of old pairs of specs hanging around the house – as spares and for wearing when decorating etc. But what else can I do with them? I have a feeling some charities collect them for redistribution overseas – anyone know of any charities in particular? Or does anyone know any companies that make it financially viable to replace just the lenses? Pass Them On: lots of charities collect old glasses for redistribution overseas – many have drop-off points at opticians’ branches or high street charity shops – see comments below for more details. You can take your old glasses into D+A opticians and they are sent to a charity i think it’s wold vision. thankyou James,Been wondering what to do with TWENTY pairs i found among my late parents belongings,they were forgetful,poor guys,just kept ordering new ones. Vision Aid Overseas, in association with KODAK Lens, have a spectacle recycling scheme called the Second Sight Project. You can donate your old glasses to the scheme via your nearest KODAK Lens Vision Centre, your local Vision Express, or you can request a donation envelope. Please note that they can’t accept: spectacles that are broken, bifocals or varifocals, or spectacle cases. I used to work for D & A, and World Vision Overseas do accept bifocals and varifocals. Often, just by re-adjusting the nose pads, these types of spectacles can make a huge difference to those in third world countries who cannot afford them. They are not too worried if the power of the lens is slightly incorrect. Better something than nothing. Hello Louisa, I too have several pairs of old specs and have discovered that most opticians will take them to be re-used in the Third World. Also Help the Aged shops will take them. Yah, I found a pair of glasses at a thrift store (Goodwill I think) and my optician just put in new lenses for me. Kinda rare to find a snazzy set of frames, but as someone on the receiving end of a donated pair of glasses, I can say that the idea works. Perhaps an old stuffed animal could use some specs. Specs-Store.co.uk is another place who are accepting frames on behalf of Vision Aid. Being a frames specialist they also refurbish the frames for free before sending them on the VA. Vision Aid receive specs from many opticians and ensure that they are porperly prescribed in developing countries but they can’t take the specs cases as the add to transport costs. The also use prison workers to refurbish the glasses and test the strength but I think they don’t take them if they are too damaged. Any suggestions for the cases? Didn’t the late eric morcombe’s wife start a charity, as eric had so many glasses she sent them overseas where they were needed. I’ve looked but cannot find the website. I’d give the old cases to young children to keep various children-only things in. When I was a kid I couldn’t get enough little boxes, cases, wallets, tins etc. Kids love them and they can store penknives, paperclips, toenail cuttings, collecting cards, secret messages etc in them. 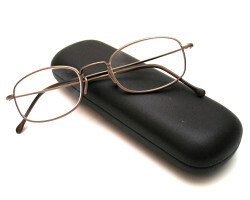 You can of course get your old spectacles repaired! Don’t throw them away (VAO don’t take broken spectacles). Places on the High St may tell you they cannot be mended but 95% can be! Phone up Spec Repairs (01255 426 644)and ask them. The whole thing can be done by post/phone and it’s not expensive. Remove lenses, paint them with glass paint and try to do some stained glass project. Create a vase out of clay or plaster inserting lenses here and there for transparent details. Make a doll house using lenses as window glass. Use several lenses to form flower petals. Stick them into clay or plaster base. 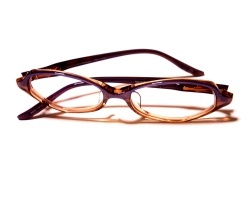 Soft rubbery parts of glasses can be reused for the kitchen cabinets doors so they close quietly. Just glue them on. Take out the lenses, replace them with regular clear plastic, and give them to your local high school actor. Use them as a base for making masks. I and my friends in Chichester Lions Club spend many hours each week sorting spectacles sent to us by Lions clubs throughout the UK. Most are donated via collecting bins in opticians etc. We don’t use cases, but even broken spectacles can be turned into cash if they are made of the right materials and this can provide funds which we use to support sight related charities. See our web site for more information. A friend of mine had their eyes lasered recently and after the procedure they were asked to place their glasses into a perspex bin showing potential customers how many people had been relieved of glasses in that month. Once the month is out they then donate to vision aid. I thought whilst a good marketing gimic it also encourage people to donate their old pairs of glasses too even if not having the procedure done. I wear glasses/contacts and donated my old glasses to the same charity. Spectacle is created from over 1000 pairs of prescription spectacles which are linked together to resemble a traditional tiered chandelier. By using prescriptive spectacles which were once an essential tool for seeing an interesting analogy is drawn between their old and new purposes. A mirror ball light effect is produced as the light is refracted through the several layers of lenses. recycled my old pair of glasses destined for third world, still in good nick so felt i did my bit. Was a box in my local opticians. The Salvation Army Charity shops will accept old specs to be re-used. Costco wholesale collects them & donates them as well. Yes, I would take them to the Salvation Army myself. Yes get them to Costco. They are sent to the third world where someone can get good use out of them. Make sure you put them in a case to protect the lenses. Paint pretty eyes on them and wear for fun. Hey I know this is super old, but please note that recycling glasses by donating them to charity is unfortunately not cost effective. 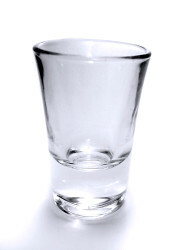 Since many are unusable, it costs charities twice as much to them than it would cost them to supply new ones (http://www.scienceinpublic.com.au/other/recycled-glasses). Vision Aid no longer send glasses overseas. They can recycle as scrap but only 3p per pair is paid.